How to Transform Your Business the SMART Way | TMC | Toki Mabogunje & Co.
“Business Transformation” appears to have begun as a label used by IT companies to re-brand their consultancy processes in order to sell integrated information systems more effectively. Today however, business transformation means much more. It implies a holistic process of transformation across the business. It also implies that this is the only valid strategic process towards achieving your corporate vision. Communicating and advertising the business transformation expectations and outputs to the Board, Stakeholders, and Staff, is a must-do if the corporate strategic vision is to be realized. The old adage “what gets measured gets done” is as true today as it has always been. 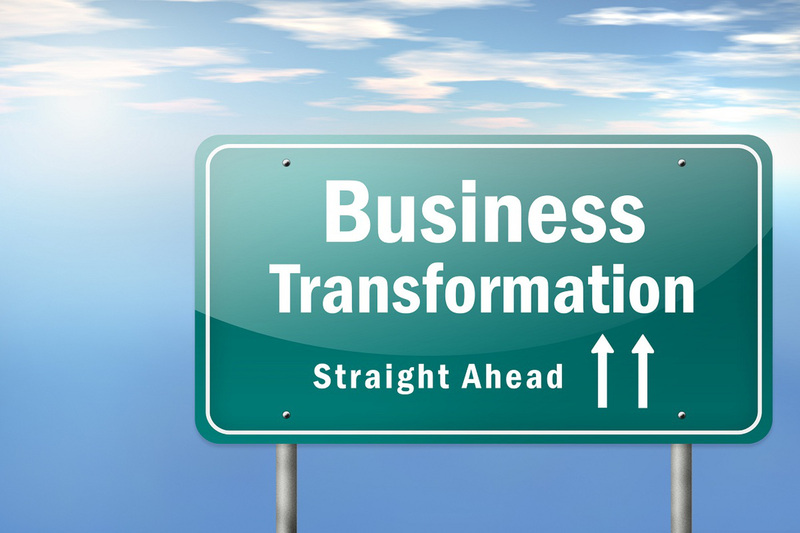 So What Exactly is Business Transformation? When executives talk about transformation, what do they really mean? Often, the phrase confuses three (3) fundamentally different categories of effort. Doing what you are currently doing, better, faster, or cheaper. Doing what you are currently doing differently, by fundamentally changing your operational model. Changing the very essence of the company. This is transformation with a capital “T” and brings the highest risks and rewards. Defining what leaders mean when they drop the word transformation matters, because these different classes of efforts need to be measured and managed in vastly different ways. First, how does one go about structuring a transformation program? Without a clear strategy that aligns participants, the Transformation will never succeed. Below are the 6 main steps that you need to go through to develop a well-structured plan that can lead to the success of your Transformation Program. This step is essential for identifying the key stakeholders for this Transformation Program and announcing the duties of each participant in the program. You might think you know your business well. I suggest you rethink this. Go out of your office and monitor exactly how the business is being done. Find out what the current business processes are and observe the bottlenecks or inefficiencies that occur. Check out support functions that might be affected by the program. Assessing the current situation doesn’t stop at internal factors, but also includes external factors, such as economic trends, competition, and other market conditions. What are the CEO’s pain points? What gives him/her sleepless nights? What is the competition doing better? Which new/emerging technologies can be used to improve business results and place the company ahead of its rivals? The need for a Transformation Program does not happen overnight. There must be a reason behind it, and the reason should be made very clear to everyone involved. This is done through redefining your vision after the successful completion of the Transformation Program. It can be a new business model. It can also be through acquiring new companies. It can also be by employing new skilled employees. Additionally, it can be through training your people to do things differently and helping them to acquire new skills. It can be through a combination of all of the above. Change involves a lot of risks. Without proper planning, a company can go out of business if the Transformation strategy is not executed properly. An initial estimate of the costs and schedule is needed at this point. A risk mitigation plan is also necessary, which you must be ready to engage, if anything does not work out as expected. Experience indicates that no single type of change initiative is sufficient to bring about acceptable levels of performance improvement. Though companies spend a great deal of time, money, and energy on a broad-scale quality program, or a training program, or a program to refocus their organization’s culture… measurable downstream benefits, in say, customer satisfaction or on-time delivery or cost reduction, often fall well short of expectations. This inevitable result leads to frustration, exhaustion, an increasingly cynical organization, and a deteriorating competitive position. Of the dozens of leading companies that have embarked on transformational change efforts in recent years, a detailed looked at the experience of over twenty, led me to conclude that although each company’s program is unique, the successful ones have developed points of view on all three types of initiative. To develop the necessary preconditions for performance improvement, successful transformations start with clear, consistent, and ongoing direction-setting initiatives. In almost all the efforts we examined, the leadership team made a concerted effort to clarify priorities, create energy, and signal commitment to change in performance and behaviour through a variety of approaches: everything from new themes and visions to new measures and objectives. This approach may work when the desired results lie well within the existing capabilities of an organization, but it falls far short when the change requires fundamentally new ways of doing business as embedded skills, systems, and attitudes are usually so at odds with the new requirements that a much more intensive process is needed to retool the organization to effect lasting change. It is therefore important to get large numbers of people throughout an organization working aggressively and creatively to improve performance. This however depends on the availability or the creation of disciplined processes for identifying opportunities and developing plans to close clearly identified performance gaps. There are, however, limits to what can be achieved through both top-down and broad-based efforts that fundamentally operate within existing organizational boundaries. Some opportunities for breakthrough improvements in performance can be addressed only through a cross-functional core process redesign perspective, in which people, activities, and information are linked in new ways. The goal of Core Process Redesign (CPR) is to produce simultaneous, dramatic improvements (25% to 75 % or more) in cost, quality, and time by shifting the focus of work and decision making from hierarchical channels to new horizontal flows across functions, locations, and organizational boundaries. Together, these three agents make up what is referred to as a "transformation triangle." It is a balanced, integrated framework for combining separate initiatives into a coherent overall program.